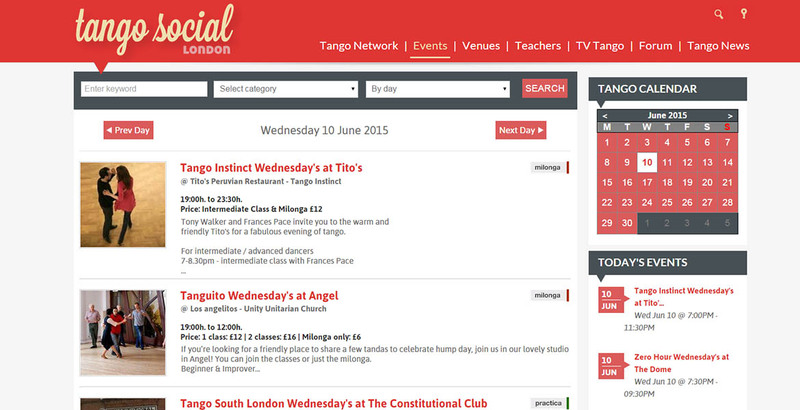 Having Argentinian roots and a passion for tango we wanted to develop an online community to promote tango in London. 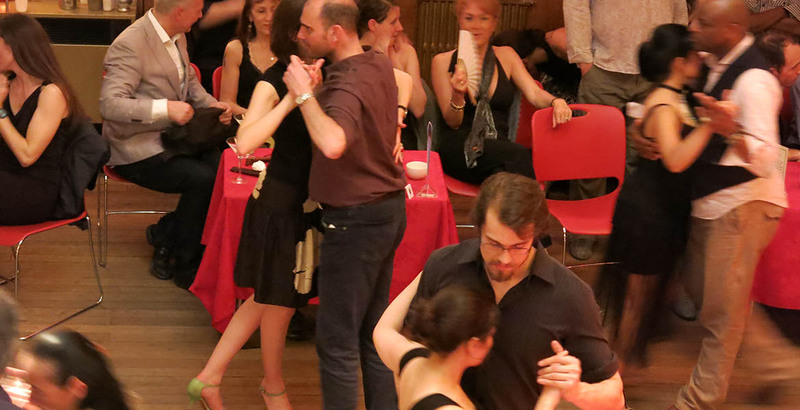 Tango Social is an open window for teachers and dancers to know each other and share events and tips about this wonderful world. 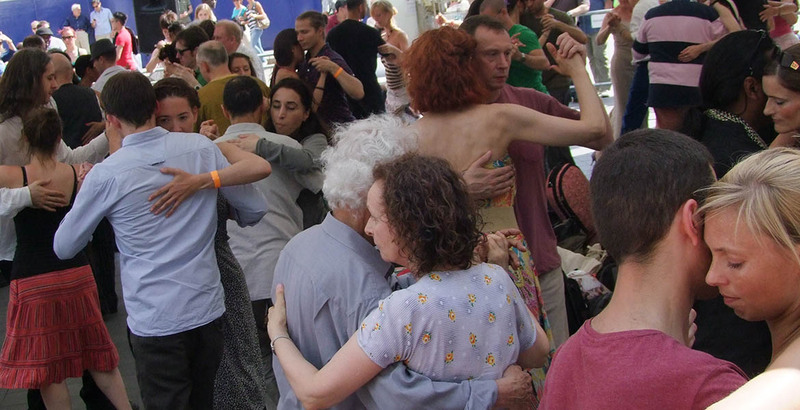 We give teachers a space to show their work and we help them to promote their classes. 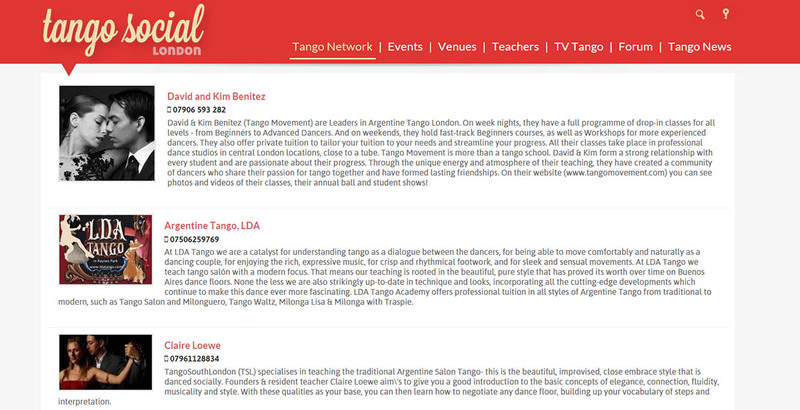 Our aim is to build the most up-to-date and comprehensive tango teachers database from London. 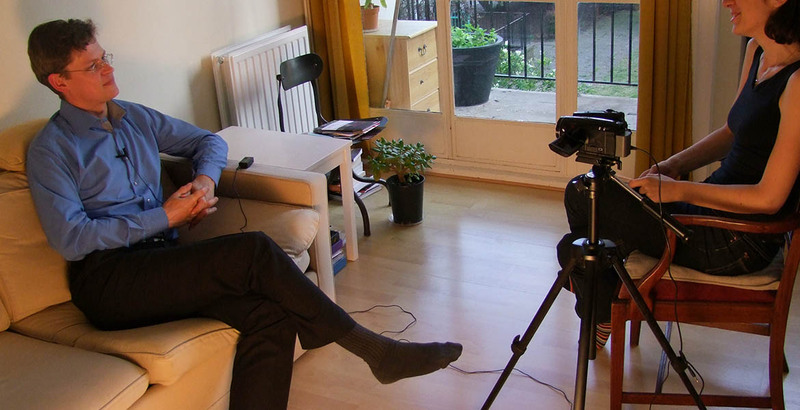 And we are also filming interviews with the teachers to record the spirit of the tango scene of the decade. 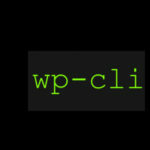 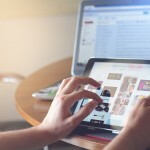 We integrate the main ways of modern online communication as chats, messages, forum, blog, events and review management. 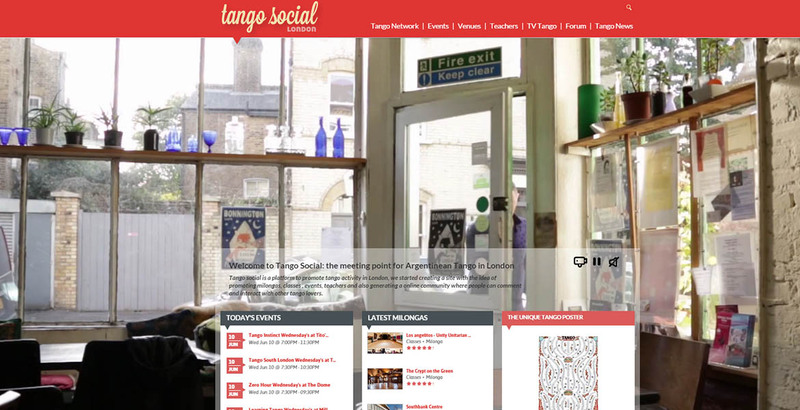 We also integrate a Social Network area where registered users can interact and share messages, videos and images.